The WSP-R240 is the smallest of Woosim's family of rugged industrial printers. 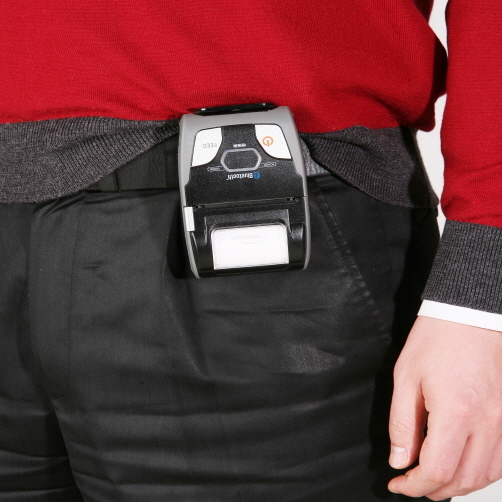 It is the lightest and most compact of the range making it ideal for carrying on the belt, hand held or in a pocket. The standard sized 57/58mm wide thermal rolls are easily obtainable and very low cost. 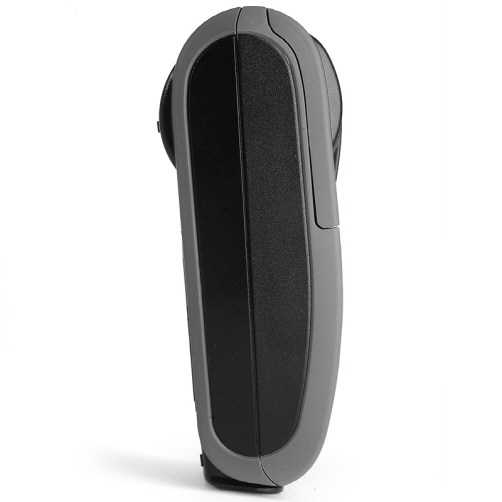 Its drop resistant casing has both RS-232C (or USB) and Bluetooth interfaces, making it ideal for mobile receipting, door to door selling (or collecting) and outdoor event POS. With high capacity Li-ion batteries as standard, this printer can be used for a prolonged period before recharging (which only takes 4 hours). The WSP-R240 is certified by Apple Inc.; "Made for iPod", "Made for iPhone", and "Made for iPod" which means that an electronic accessory has been designed to connect specifically to iPod, iPhone, or iPad, respectively, and has been certified by the developer to meet Apple performance standards (Note *1). It is also compatible with some mobile payment apps including PayPal Heretm. Compatible with mobile payment apps. Apple is not responsible for the operation of this device or its compliance with safety and regulatory standards. iPad, iPhone, and iPod touch are trademarks of Apple Inc., registered in the U.S. and other countries. 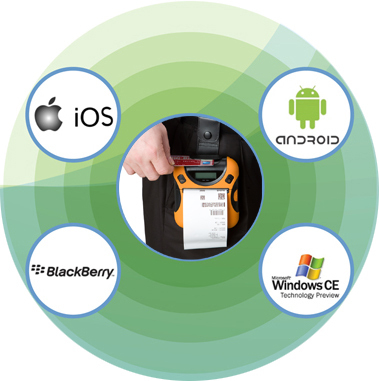 Rugged mobile printers are ready to go anywhere to provide truly portable receipting or ticketing. They can work with RS232 or USB based systems but most applications use Bluetooth for wireless connectivity. The range is compatible with many PDA's, Smartphones, Tablets and Laptop PC's. 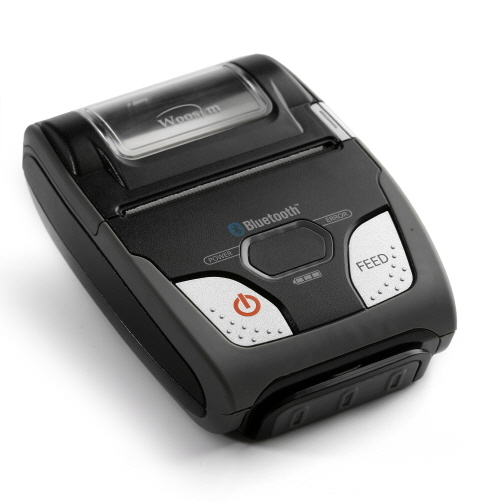 The fantastic Woosim Porti R240 rugged printer supplied by M-Tech Printers can be used with popular mobile credit card terminals such as PayPal Heretm. 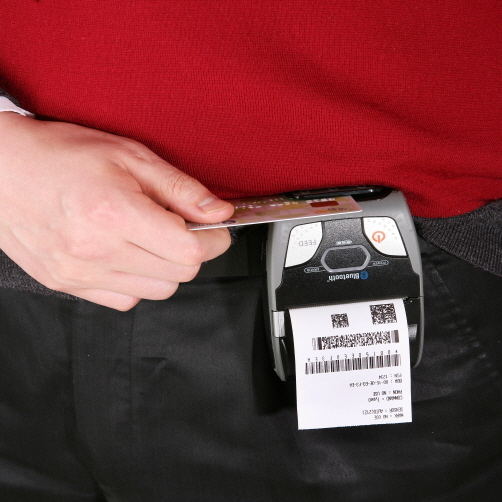 These small devices link to your mobile phone or tablet to make secure credit card transactions and a receipt can then be printed on the R-240.